Our Lady of Perpetual Help was established in 1929 as a Polish parish. Before the parish was founded, local Catholics attended St. Ladislaus in Natrona. To get to St. Ladislaus, the people of Natrona Heights had to cross railroad tracks that lacked crossings or safety signals. In 1918, the Catholics of Natrona Heights, concerned for the safety of the children who had to cross those tracks to attend St. Ladislaus School, began raising funds for a school and attached chapel. Eventually, they realized that if they were to have a chapel, they would also need a resident pastor. They petitioned the bishop for a priest and one was assigned to the new parish on February 1, 1929. The first Mass was celebrated on February 11, 1929, in a private home. In May of 1929, the parish built a hall in 16 days to be used for fund raising events. However, the pastor decided to convert the building to a church. The church was dedicated on May 30, 1929. On February 20, 1945, fire struck the church. The fire completely gutted the interior but left the walls intact. While repairs were made to the church, Mass was celebrated in the basement of a local public school. After five months, the church reopened. The fire led to a decision by the parish to build a new, fire resistant church. Ground was broken for the new church on April 6, 1952. The cornerstone was laid on July 6, 1952, and the completed building was dedicated on August 30, 1953. 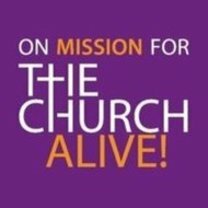 The church continues to serve the community today, but the parish does not. Due to population losses in the area in the late twentieth century, Our Lady of Perpetual Help merged with Most Blessed Sacrament parish to form the new Our Lady of the Most Blessed Sacrament parish. Our Lady of Perpetual Help Church remains open and serves the new parish.